March | 2014 | Great Cats of the "World"
Jungle Rhythms‘Jungle Rhythms’ is an initiative that is committed towards saving the last few tigers left in the Indian wilderness. Softly listening through tiger habitats across Indian jungles, Jungle Rhythms communicate ‘the voices of the jungle’ direct to the people who can protect them. I am sharing this page because it is important for those of Us who truly care about the Remaining Tigers of India. This page offers you very Vital Informative Issues that is going on with the Iconic Species of this Country. If you care, then this is A Page I strongly recommend. 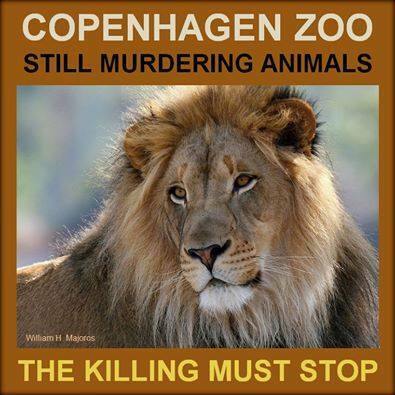 Stop the Killing COPENHAGEN ZOO!!!! STOP BREEDING — STOP KILLING — SHUT THEM DOWN !!! Copenhagen Zoo kills four lions to make room for new generation. In Iran, the Persian leopard’s last stand…..
“When most Westerners think of Iran they think of international politics, religious revolution, and Islamic culture. They don’t think of leopards. But Iran’s mountainous north is home to the greatest concentration of Persian leopards left on earth. Larger than their African cousins, Persian leopards once roamed far into the Caucasus Mountains in central Asia, including parts of Armenia, Azerbeijan and Georgia. Now, only scattered populations of these big cats remain in those countries, often in isolated patches far removed from others of their kind. Iran’s mountainous north is home to the greatest concentration of Persian leopards left on earth. But even here, the big cats face some major threats. India has called off its hunt for a man-eating tiger that was prowling villages in the country’s north after no reports of new deaths for six weeks, wildlife officials said Monday. The tiger has killed at least nine people since late December, eluding a team of hunters in Uttar Pradesh state who set out on foot to kill the animal. A tiger killed a 10th person on Feb. 9, but forestry officials cannot confirm the same animal was responsible. The animal is believed to have strayed from Jim Corbett National Park in the neighboring state of Uttarakhand, moving through sugarcane fields and rivers and crossing national highways. Although the hunt was called off earlier this month, De said wildlife officials are still tracking the animal using drones as well as 50 cameras installed in villages around the tiger reserve. While hunters are brought in to kill man-eating tigers every year or so in India, it has been decades since a tiger killed as many people as this one, or stayed on the run for so long. Wildlife experts know little about the tiger. They know it is a female because of the shape of its paw prints, and many believe it is somehow injured, which could explain why it overcame its natural fear of humans. A lion has been killed and beheaded in a South African national park in what conservationists believe is for traditional “muti” medicine. Tembe, a male lion who was the pride of the KwaZulu-Natal National Elephant Park, was found dead by conservationists at the park. He was one of the oldest lions at the park, which lies on the border between Zululand and Mozambique, South Africa’s Independent Online reports. Musa Mntambo, spokesman for the Ezemvelo KZN Wildlife, the government organisation responsible for maintaining the conservation area, said staff had found the rotting carcass of Tembe along with the body of a lioness who had not been beheaded. Both had been caught in snares – a row of six traps were found nearby and authorities believe they were set up by hunters. It is thought Tembe’s head was sold or given to a nyanga – a traditional healer – to make medicine. Tembe was brought to the park in 2002 to increase the wildlife diversity in the Elephant Park and to attract more tourism. Mntambo said park rangers had increased foot patrols to try to catch those responsible who will likely return to the area to check their snares. Muti is commonly used in the area where Tembe was killed. Most often, lion bones are used to make traditional medicine by grinding them and mixing them with other ingredients in the belief it is “guaranteed” to make people as strong as a lion, Silwane Gumede, a nyanga who practices in the area said. Tembe the lion found dead and beheaded at KwaZulu-Natal National Elephant Park. URGENT PLEASE READ AND SHARE!!!! SHOUT THIS OUT !!!!!! VERY URGENT PLEASE DO READ THIS.THIS IS VERY VERY IMPORTANT PLEASE READ SHARE.TANZANIA’S FORGOTTEN LIONS.NUMBERS DOCTORED BY MONEY FROM LION TROPHY HUNTING SO IT GOES ON ,ON MARCH THE 25 WE WON A BATTLE BUT EVEN A BIGGER WAR AWAITS US.THE WAR TO SAVE THE FEW REMAINING WILD LIONS IN TANZANIA.LOOSING THIS WAR IS NO OPTION.WE HAVE TO WIN BY ALL MEANS.NOT JUST FOR US NOW BUT FOR FUTURE GENERATIONS.IT SAYS SOMEWHERE EVIL PREVAILS IF GOOD MEN AND WOMEN DO NOTHING.SO I ASK YOU ,ARE YOU GOING TO KEEP ON THE SIDELINES AND STAY SILENT OR ARE YOU GOING TO STAND UP AND SAY ENOUGH IS ENOUGH I WONT LET LIONS BE WIPED OUT OF AFRICA.WE MARCHED ON THE 15 ,SUNG ,DEMONSTRATED OUR VOICES WERE HEARD.I ASK YOU ,ARE YOU GOING TO MAKE A CHANGE IN THIS WORLD TODAY.WHAT IS YOUR LEGACY.HOW DID YOU MAKE THIS A BETTER PLACE FOR THOSE AFTER YOU.IN A FEW YEARS THE QUESTION WILL BE WHAT DID YOU DO AS TROPHY HUNTERS WIPED LIONS OUT OF AFRICA.WE ARE GOING TO BE FIGHTING AGAINST AMERICAN MILLIONS AND POLITICIANS WHO OWN LION TROPHY HUNTING BLOCKS IN TANZANIA.THEY WILL TRY TO BRIBE THEIR WAY OUT TO KEEP KILLING LIONS AND MAKING MORE MONEY.THEY WILL OFFER OFFICIALS ON THE GROUND MONEY ,VISAS TO AMERICA,HOLIDAYS,CARS.SO OFFICIALS RULE IN THEIR FAVOR.SO LION TROPHY HUNTING CARRIES ON IN TANZANIA.A COUNTRY DOTTED BY AMERICAN LION HUNTING FIRMS ALL OVER ITS CORNERS.SO I ASK YOU YOU TO JOIN US AND MANY OTHERS IN UNISON.SEND SUPPORT TO TATO,A LONELY VOICE FIGHTING TO STOP THE KILLING OF LIONS FOR PLEASURE IN TANZANIA BY AMERICAN TROPHY HUNTERS .THIS IS TATO’S EMAIL OFFER THEM ANY SUPPORT YOU CAN ,EVEN AN EMAIL TO TELL THEM THEY ARE NOT SA LONE IN THE FIGHT TO END LION TROPHY HUNTING IN TANZANIA-tato@cybernet.co.tz.